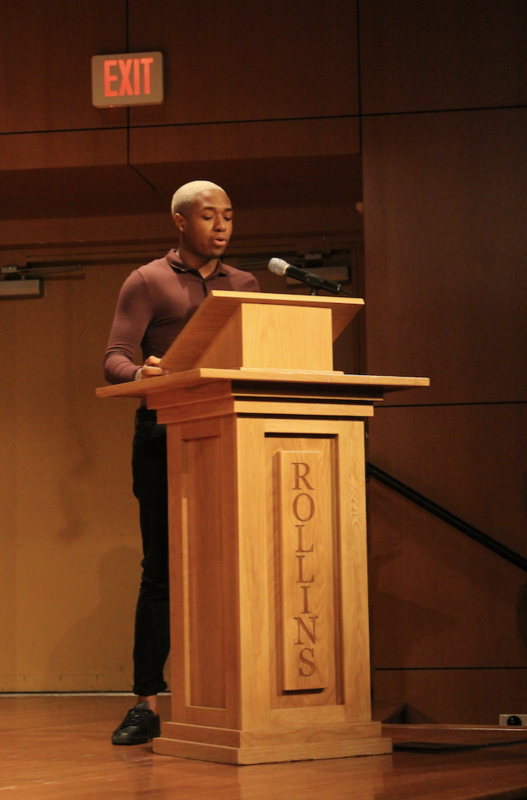 A vigil, an art exhibit in the Cornell Fine Arts Museum, a Black Lives Matter panel, and a day of service were arranged to celebrate Rollins’ annual Martin Luther King, Jr. week. The vigil, the first event to kick off the week, took place on Martin Luther King, Jr. Day. This year’s theme was “Stay Woke.” Destinee Lott, assistant director of the center for inclusion and campus involvement (CICI), organized and hosted the event. The main attraction of the vigil was a presentation given by Judge Victoria Pratt, a criminal justice reform activist from Newark, New Jersey and a nationally recognized expert in procedural justice and alternative sentencing. Pratt’s speech centered on the injustices and inequalities against African Americans that are still occurring today. She highlighted the need for the justice system to treat minority groups with the dignity and respect they are often denied. Lott commented that, in previous years, the CICI has worked with “speakers who maybe have some similarities to Dr. King as far as what their ideals are.” It was also important to Lott to find a speaker that connected with the student body, and Pratt did just that. At the end of Pratt’s speech, President Grant Cornwell took the stage. Cornwell spoke about the hope we must have for justice to prevail, despite current issues with racism that still plague our nation. 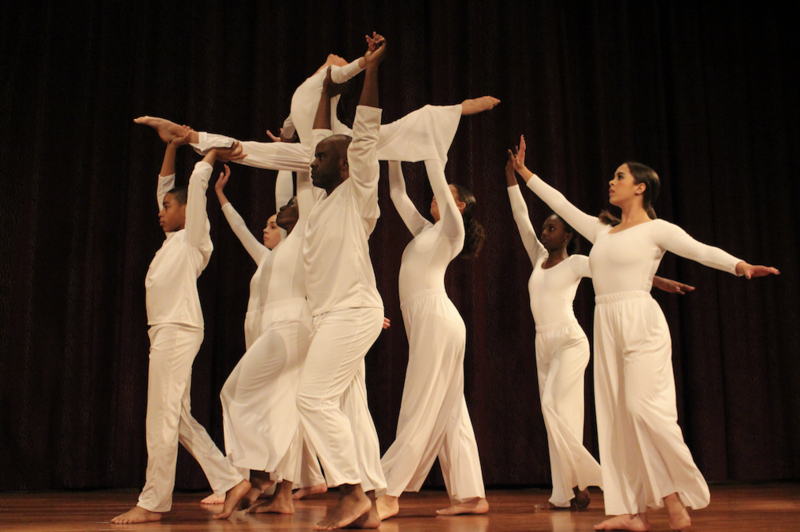 Afterward, the Dawn Branch Works, a contemporary Orlando dance company, performed a dance that portrayed the history of black Americans. On Tuesday, the Cornell Fine Arts Museum (CFAM) hosted an artist’s talk with John Lazarus, a Thomas P. Johnson Distinguished Visiting Scholar and an assistant professor of art and art history at the University of South Florida. Lazarus produces projects that highlight the histories of marginalized people. Later in the week, the Black Student Union hosted a panel to discuss the Black Lives Matter movement. The open panel allowed students and other attendees to ask questions and debate after a brief review of the movement’s beginning and history. Subjects ranged between what the term “Black Lives Matter” means and the role of respectability politics, which is when members of marginalized groups seek to stick to the values of the mainstream instead of challenging them to pursue change. One interesting topic that came up during the panel was whether race relations had improved or worsened overtime; Brendon Johnson, a member of the National Association for the Advancement of Colored People (NAACP) and an Orange County native who moderated the discussion, believes that race relations have not changed since the days of slavery. The panel also discussed the problems that the Black Lives Matter movement faces, from media perception to the flaws of social media movements. One student from the audience suggested that the issue comes from social media activism not having a definitive end or policy goal. When everyone has access to the hashtag, it’s hard to pinpoint what the real goals of the movement are. Overall, Johnson claimed that it is conversations like these that are what moves America forward and allows progress to happen with issues such as racism. Closing the week was a day of service at Tangelo Park Elementary School, but more events will occur in February as part of Black History month. “We really like our student organizations to take the lead during the identity months that we have,” said Lott. The Black Student Union will be hosting their annual Soul Food Sunday, an event in which students bring in their own soul food dish. The African Student Association and Black Student Union are collaborating to have a market day in February to highlight African culture. Finally, Lott shared that her department, the CICI, will be hosting Tarana Burke, the founder of the #Metoo movement, later in the semester.